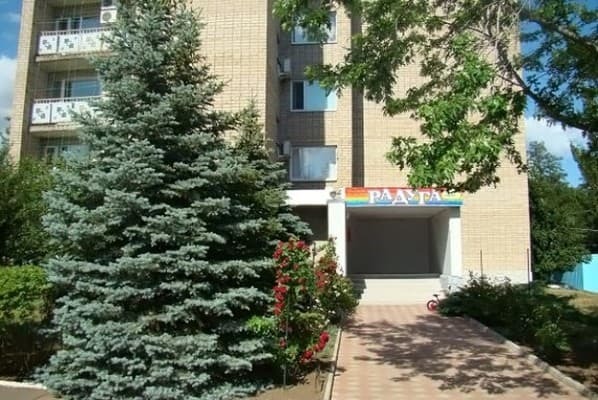 Pension "Rainbow" is located on the coast of the Azov Sea in 5-7 minutes walk to the beach (1.2 km). The hotel offers rooms equipped with balcony, refrigerator, TV; The category "luxury" and "junior suite" are equipped with air conditioning. In the boarding house "Rainbow" adult sportsmen are held sports tournaments, equipped with a platform for volleyball and football, there are tennis and billiard tables. There is also a library here. For children there is a large playground with swings, slides, houses and sandpits. Description of the room: One-room with all conveniences. Description of the room: One-room with all conveniences. 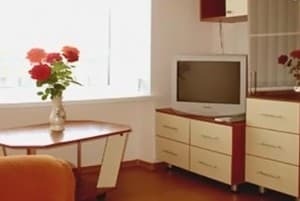 In the room - two single beds or a double bed, built-in wardrobe, table, chairs. Description of the room: Two-room suite with all amenities. Living room with upholstered furniture, double bed, dressing table with mirror, wardrobe. Children under 3 years old receive a discount of 15% of the cost of the main place, children from 3 to 10 years with a bed - a discount of 10% of the cost of the main place. Additional accommodation without a berth: children under 3 years old - 30% of the cost of the main place, children from 3 years to 10 years - 40% of the cost of the main place. 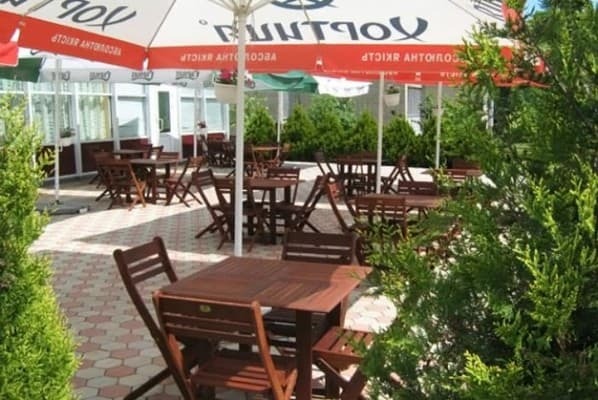 On the territory of the boarding house there is a bar with a summer terrace, as well as a common kitchen where it is possible to prepare meals for children up to 2 years. There is a separate barbecue area, the possibility to book a full board: breakfast, lunch, dinner. Full board: 3 meals a day (breakfast, lunch and dinner) - 200,00 UAH / person. Half board: breakfast - 50,00 UAH / person, lunch - 80,00 UAH / person, dinner - 80,00 UAH / person. The boarding house is located near the grocery store, in 10 minutes walk - a large city market. 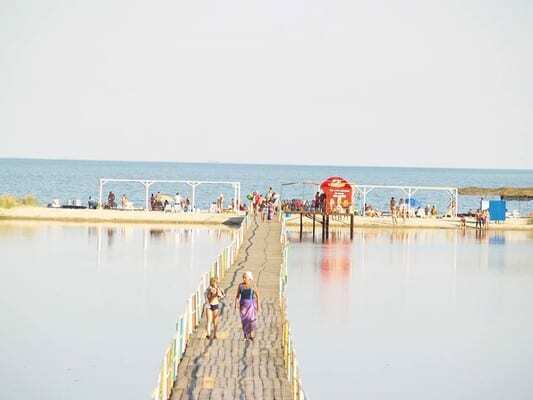 The distance to the bus station is 4.4 km, to the beach - 1.2 km. Before the boarding house "Rainbow" it is possible to get by train: to the station. Melitopol or Berdyansk. 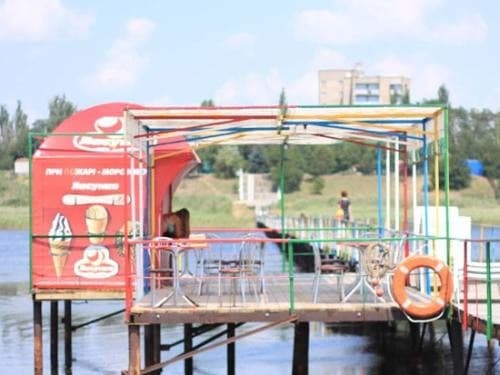 From all stations there are shuttle buses, regular buses and taxis to Primorsk. 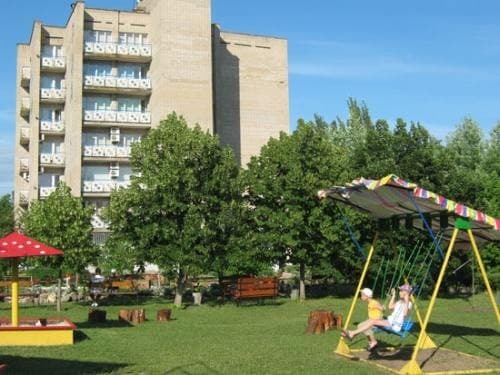 In Primorsk, the BW "Rainbow" is located 1 base from the city beach.